Oh, hello there. Long time so see, eh? I don’t really know how to begin this post. I tackled a similar topic with a prior blog post in early December, which hinted at what I’m going to be divulging here, but I hadn’t fully come around to where I am now when I wrote that. Maybe I still haven’t come around. I’m not sure. I think that, as always, the best course of action is to just be honest and open — the latter of which I am not particularly good at when it comes to my f e e l i n g s.
I think my time as homesteader is coming to a close. At least for now. 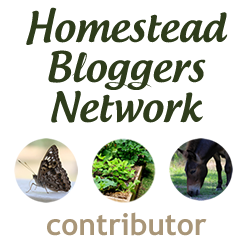 I’ve often said that I could never imagine living without some kind of homestead, and I still feel like that is true to an extent. You can take the girl off the homestead, but you can’t the homestead out of the girl? But I feel like it’s just not something I can keep doing right now. I’ve resisted coming to this conclusion for two main reasons: 1. This is an entirely different place than I was this time last year. Back then I was making plans to start a herdshare, and buying the equipment and animals needed for that. (By the way, big shout out to the jackwagon who thinks herdshares should be illegal in Tennessee now. I’d tell you where to go, honey, but that wouldn’t be very polite of me — kind of like it isn’t polite of you to try to police what people eat.) Somewhere along the way I realized that the infrastructure I need– which I originally thought was sufficient until I started milking by machine and not hand, as if I were selling it — was going to be impossible to accomplish. And my heart went out of it. 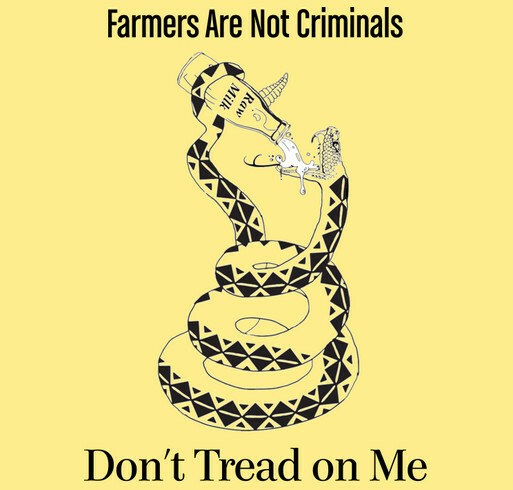 Actual, non-sarcastic shout out to Tinia for this shirt design and her hard work for milk freedom, which ultimately resulted in the legalization of herdshares in WV. And 2. This is a painful process for me. I’m a bit stoic on the outside, which rare exceptions when something really hits me, but inside…it’s a little painful. Failing is painful, getting rid of animals I didn’t expect to is painful, realizing I’m not happy anymore is painful. It’s all a hot mess, really. It’s very hard to let go. But I do believe we should pursue things that bring us real joy. Our talents. Our passions. Our long term goals for our lives. These things are all important, and sometimes they change. For a long time, homesteading brought me joy. It was a passion. But my heart isn’t in it anymore. I don’t know why; it just isn’t. The values that originally brought me to the homestead life remain the same, but the means by which to achieve them have changed. I still wish to live deliberately. I still want to be a good steward. But I don’t think I want to do those things the same way I have the last ten years. I have a confession: for the last month or so, I have passed off my responsibilities to my family more often than I care to admit. It embarrasses me to publicly acknowledge that, but it’s the truth. It used to be a happy part of my day, but lately it’s felt like a burden. It’s made me frustrated and sad. There have been days I wanted to go out and spend some time in the barnyard, but then I couldn’t actually do it. I know that sounds incredibly stupid–how does a mental block stop you from just doing something anyway?– but it’s true. The idea of going out some days feels like a weight on my chest that I can’t lift off. I have listed several goats — including several “keepers” — for sale on my website. I’m not selling them all yet, because some of them will be harder to say goodbye to than others, and also because the anxious part of me says not to completely sell out in case I change my mind or my plans change again. And maybe I can make it work with travel and a (much smaller) homestead if I manage to downsize and find a balance again? I’m not sure. But I’d love to find lovely homes for these (and pay my taxes in the process, hehe) so if you’re interested, please let me know. I will discount if the same person purchases more than one, and I can deliver anywhere within a day’s drive. So, where am I going from here? I’m not 100% sure, but I do have some plans and ideas. One big plan is to buy a van and convert into a camper van. Yes, I plan to have a hippy van to travel in, and I’m very excited about it. It’ll be my little homestead on wheels. I don’t plan to be on the road 24/7, in part because I have to keep working my current job for now, but maybe some day. If I do end up living on the road, I know it won’t be permanent. I will eventually want a home to come back to. But right now I have this horrible restlessness, a “I’ve got to get out of here-ness,” and #vanlife is so appealing to me right now. So maybe it’s time to trade one dream for another. . .for now. All I really know is this: at the end of the day, I am unhappy with my life. I am unhappy with where I am and how I feel here. And the only way to fix that is to change it. So I’m going to try.